Battles over what one wears are common between generations. Some are more serious than others. This post offers parent advice about when to draw the line. As a foster parent dealing with kids in trouble with the law, major Gotcha War broke out when I confiscated because they advertised breaking the law. I am referring to anything that hawked beer or promoted drugs; mainly tee shirts, but also lots of marijuana leaf jewelry – naive parents thought these were palm trees. Once upon a time I was that naive. Parents are people; teens have their own ways of communicating often designed to keep parents on the outside. My war against drinking and drugging clothing and jewelry ads almost always provoked a temper tantrum. Moreover, almost the temper tantrum was almost always included outraged calls to parents, social workers, or probation officers. Often the adults supported me. Sadly some of the adults vehemently protested my confiscations. Such items are advertisements and adults who wear them are making a proclamation but not necessarily breaking the law. 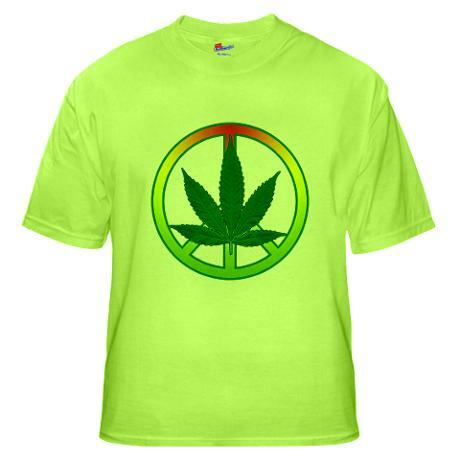 Also some use such shirts to protest drug laws. Their right. For teens, however, such items announce to other youth that the wearers are willing to party hard. All my kids were under sixteen so partying hard was also breaking the law; any who partied with them were doing the same. A parent who does not protest is a parent colluding or agreeing that it is okay for teens to party hard. I had fewer problems with provocative dress, but that was in the 70’s. Today, te fashion industry and media stars have pushed the boundaries beyond most parent’s endurance. So what follows are some quick tips about X-Rated dressing. Tip one: Start early to teach rules for what can been worn where. Different clothes are proper for different times, different places. Tip two: Abide by those rules. Tip three: Do not sexualize children. I froth at the mouth when I think of stuff like Tiaras for Tots. Tip four: If the teen years are upon you and you have not abided by the above rules above, apologize, Next remind the teen that you have only a few years left to guide them into adulthood. This means, you are going to straighten up and do the right thing. You are going to get tougher about some things. Then set one clothing rule – no clothes that advertise drinking, drugging, or sexual availability. Tip five: To aid in enforcing the rule, figure out what you spend on clothes and provide your child with a clothing allowance. Anything bought that does not fit the rule is confiscated and no money given for a replacement. To make it through the tougher times, start practicing my Daily Twelve Emotional Fitness Exercises. You can get a free copy of those exercises by clicking here. For more details about staying strong as a parent buy any one of my E-books by going to my author’s page and scrolling down to the E-books.You don’t need a kindle to read ebooks from Amazon. You can download a free Kindle reader to your computer when you buy the book. If you buy one of my books, please review it. Reviews matter. Remember, all advice needs to be personally tailored. My advice draws on my knowledge as a therapist and my personal experiences as a parent and foster parent. I hope you find it helpful, but as with all advice, take what both your heart and your head agree will work for you. Leave the rest. This entry was posted in Parenting Issues and tagged challenging children, children, Clothing Wars, Emotional fitness, Life, Parenting advice, parenting tips, parents, postaday, teens. Bookmark the permalink.